The Ford Focus legacy has been quite successful outside of the US ever since the first model made its appearance in 1998. 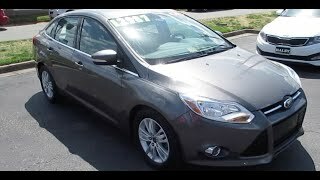 Unfortunately for the US, the second generation Focus took a followed a separate road compared to the European model, which was a rather disappointing business model. 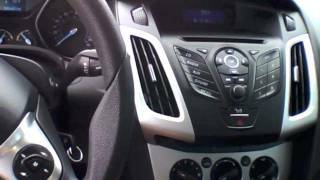 However, things have gone back to normal with the Ford Focus 2012 which has now been launched as an international model in both North America and Europe. 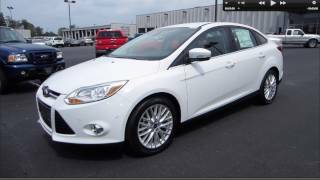 Needless to say we're glad Ford decided to reunite the two markets with the arrival of the third generation Focus because the 2012 model is quite brilliant, so without further ado let's take a look at what you can expect from the latest model spec-wise. Under its hood the 2012 model comes with a brand new 2.0 liter four-cylinder engine able to develop 160 horsepower and 146 lb-ft of torque. The engine is mated with a five-speed manual gearbox as a standard, but a six-speed PowerShift dual-clutch automatic transmission is available optionally. An interesting feature offered by the PowerShift gearbox is that it gives you the option of changing gears via a button placed on the shift knob, replacing the paddle-shifters on the steering wheel. As far as handling goes the Ford Focus does not disappoint and is assisted by Torque Vectoring as a standard, resulting in great grip and minimized understeer. As far as the exterior design goes the most distinctive feature in the new Focus is the trapezoidal front grille and the triangular air intakes sculpted in the front bumper. The new is also offered as a four-door hatchback, or a four-door sedan, and whereas the sedan is definitely more practical, the hatchback takes the cake when it comes to aesthetics. In terms of interior the new model has clearly made a huge leap forward compared to the previous model and it now comes pack technology including the MyFordTouch infotainment system, Bluetooth connectivity, an 8 inch monitor in the center stack plus an additional screen fitted on the instrument panel and a rich multifunctional steering wheel. The more costly trim-levels also offer heather upholstery which is always a nice touch. 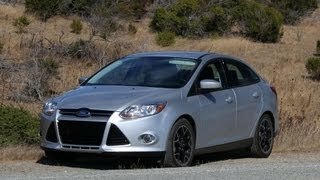 Overall, when it comes to price for value the Ford Focus 2012 is one of the best hatchbacks you could buy at this time. 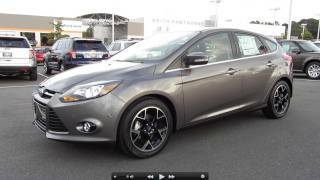 The base price starts at roughly $16,500 which is quite a lot more affordable than the $19,300 Mazda 3 hatchback.